The new fleet additions join two sliding-roof Schmitz Cargobull curtainsiders which are used to transport machinery, fertiliser and palletised goods across the UK. The new assets are expected to be in service for five years and will each travel up to 220,000 km annually. 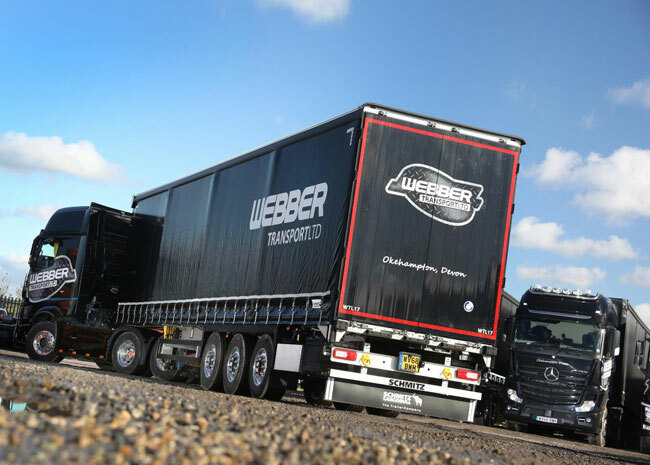 In addition to palletised goods, family-run Webber Transport, based in Okehampton, delivers timber logs to sawmills nationwide.